As digital consumption increases, consumers gain more control and purchasing power. Empowered by mobile devices, consumers can search for information any time, anywhere. The way consumers research before buying is becoming more complex for advertisers to follow. Keep reading for Part 1 of our 3-part recap of the Google Ads changes of 2018 and what you can do now! Some major reoccurring themes can be seen in these updates, one being machine learning, which is the focus of Part 1 of this blog mini-series. While not a completely new concept, machine learning continues to advance and become more deeply integrated into Google Ads features. Two big updates in 2018 include responsive search ads and new automated bidding strategies. Consumers see hundreds, if not thousands, of ads per day. With more options available and information overload setting in, you need a more tailored message that speaks directly to your buyers. In response to this, Google launched responsive search ads (no pun intended) to help advertisers implement ads more efficiently while creating a more effective ad message. These ads are a prime example of machine learning in action. 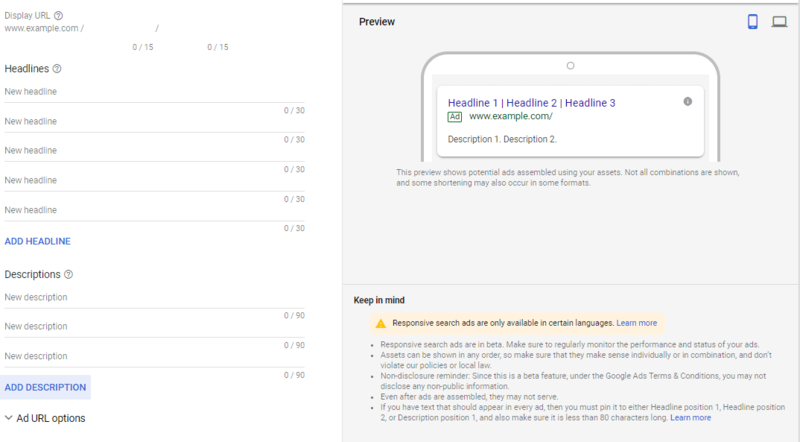 With up to 15 headlines and 4 description lines per ad that are used interchangeably, responsive search ads make ad creation easier and faster to implement at scale. It’s a highly efficient way to test copy and discover the most relevant message to the user. 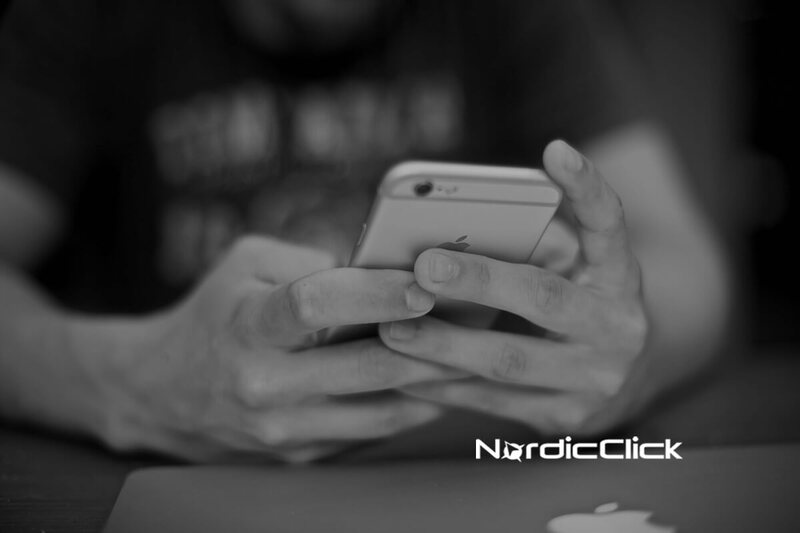 What We’ve Seen So Far: Not only has machine learning made thousands of ads quick to create, but they are also improving campaign performance with up to 15% more clicks! From what we’ve seen so far, responsive search ads are a great way to determine which variation of ad copy performs the best. Not only is Google using machine learning to send more accurate messages to consumers, Google is also using it to save advertisers’ time. 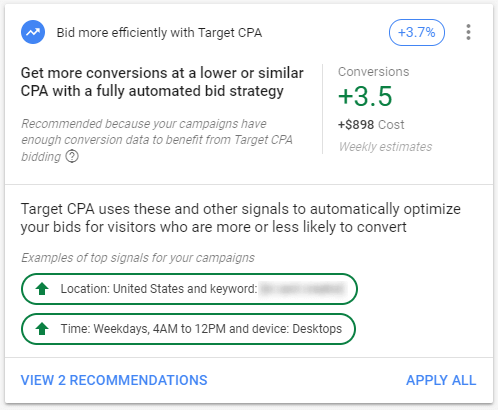 New automated bidding strategies optimize campaign performance toward a specific goal, such as more conversions or a specific cost per acquisition. Automated bidding strategies reduce time spent on menial tasks, freeing up time and space for more strategic initiatives. For example, Maximize for Conversions uses a combination of machine learning and your historical performance data to determine the most optimal bids for the most conversions for your specific campaign. No more countless hours stolen by adjusting individual keyword bids! Target CPA is a better route if you have a specific ROI or cost per acquisition goal. Maximize for Conversions is designed to spend its full budget, so try creating a separate campaign with a specific budget allocated in order to control spend. A great way to see if a strategy is a good fit is by running it as an experiment first. I’ve seen some campaigns thrive using automated bidding strategies, and others not so much—it’s always important to test. Stay tuned for Part 2, where we’ll talk about the features that came to Google Ads in 2018 to help reach a consumer on the go! 0 Comments on "Moving Toward Machine Learning: Google Ads Updates of 2018 [Part 1]"